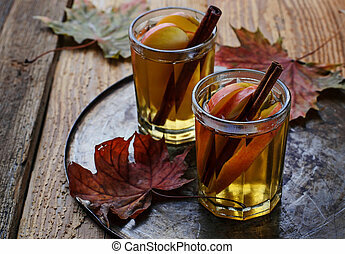 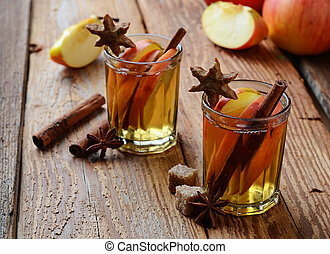 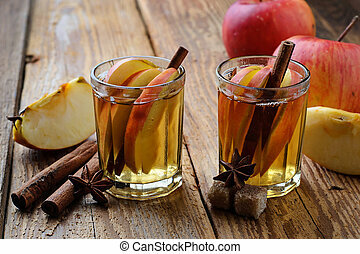 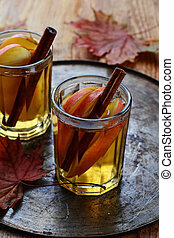 Apple cider with cinnamon stick. 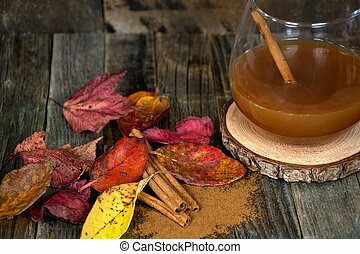 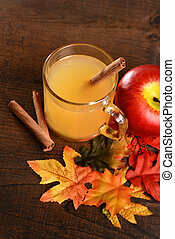 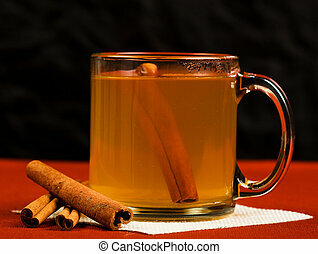 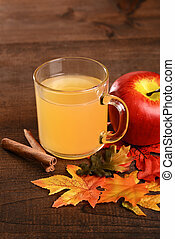 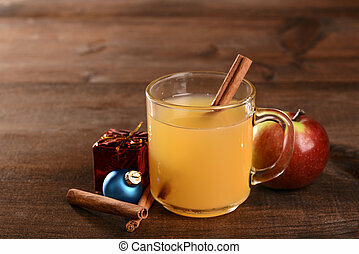 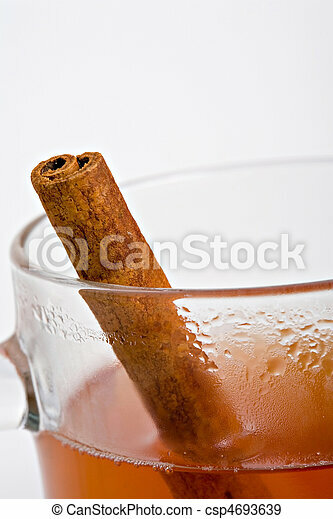 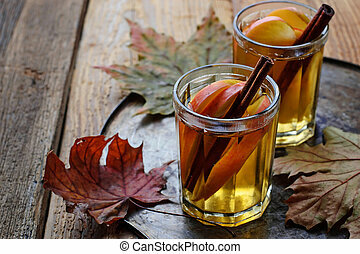 Close up of glass of hot apple cider with cinnamon stick. 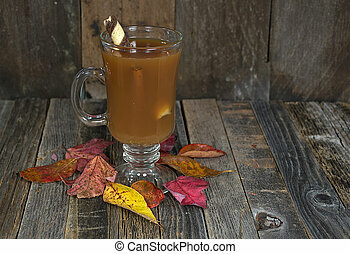 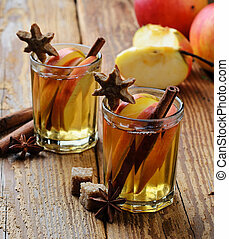 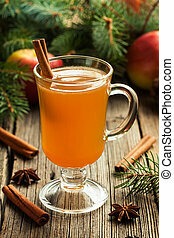 Homemade traditional winter hot apple cider with cinnamon stick, anise and spices. 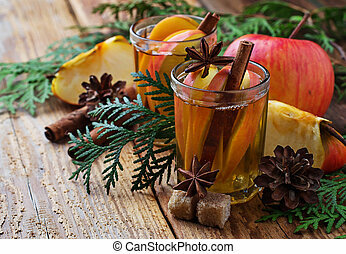 Thanksgiving or christmas holiday healthy celebration beverage. 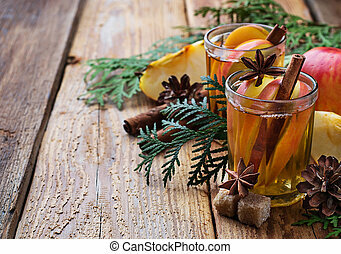 Rustic style.